This airy, bespoke furniture design fits perfectly within the open plan living area. Shelving is cleverly integrated into the sloped ceiling, helping to create a real central feature and opening up additional display space. 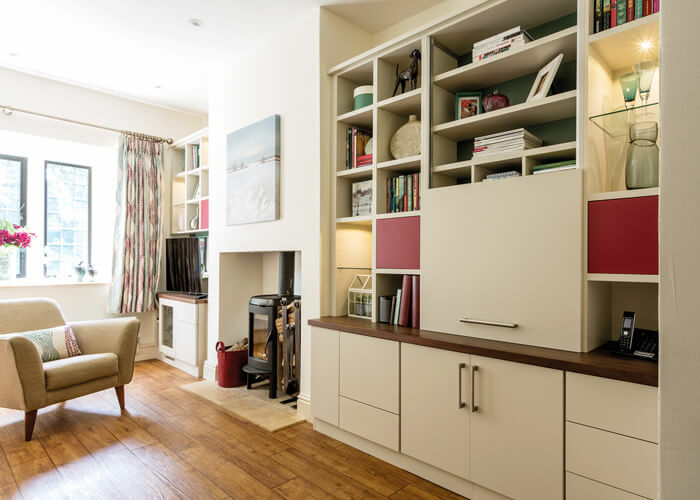 The room has been transformed into a multi-functional space, creating somewhere to relax and unwind, entertain the kids or work from home in the hidden study areas. The two integrated workspaces can be hidden when not in use, allowing you to completely enjoy the comfort of the lounge area without the distraction of desk clutter. 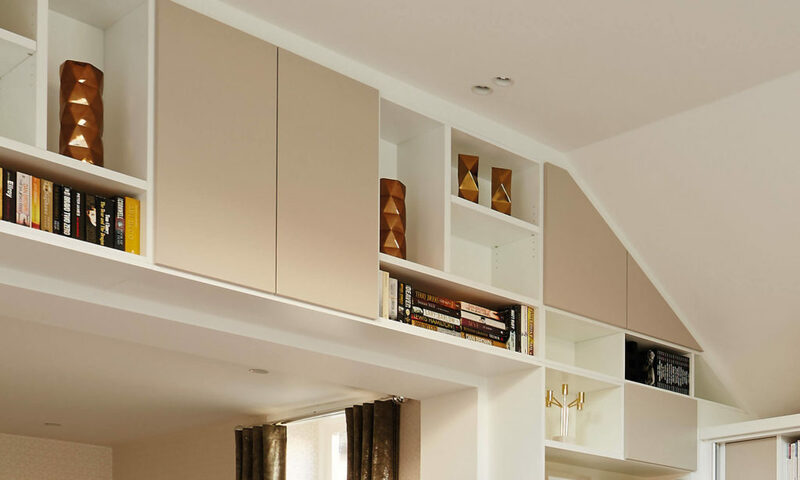 Each bespoke Neville Johnson solution is made to measure, enabling us to craft fitted furniture that sits perfectly in even the most awkward spaces. This striking minimalist lounge and mezzanine gallery encompasses both style and functionality with ample storage space. This bespoke lounge design helps to transform the lounge into a multi-functional area, perfect for relaxing after a hard day’s work.